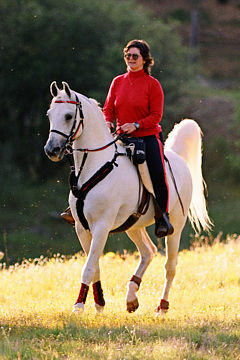 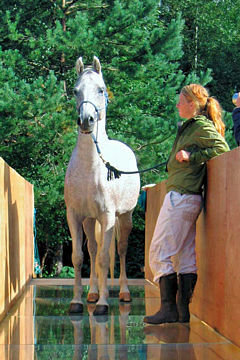 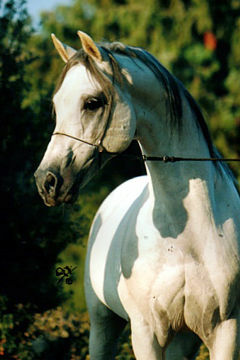 NITA LOTOISE, Grey mare, *2001 (Said Lotois / Nikita Lotoise). 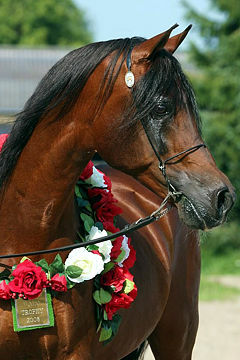 Breeder: Mr. 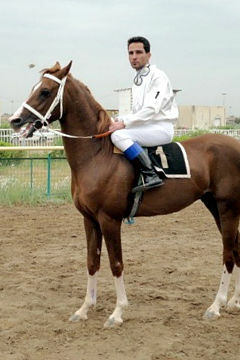 Guy Barry. 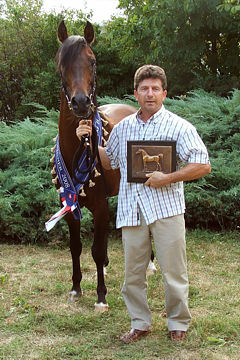 Owner: Mr. Vincent Dupont. 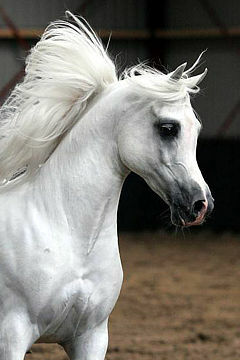 Strain: Shuweymah Sabbah (Cherifa, 1869). 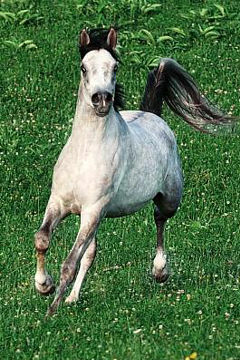 This lovely grey mare started her athletic career on the racecourse, running 8 times in 2 seasons, gaining several places. 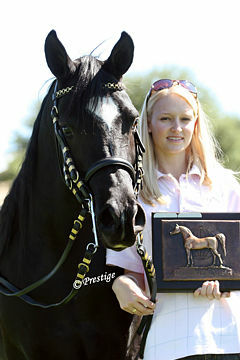 She was the winner of the World Young Horse Endurance Championships (for horses 7 years old) at Compiègne in 2008. 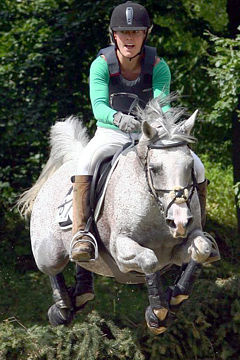 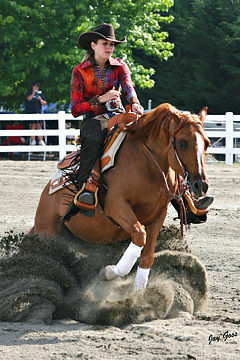 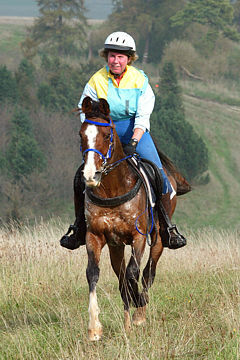 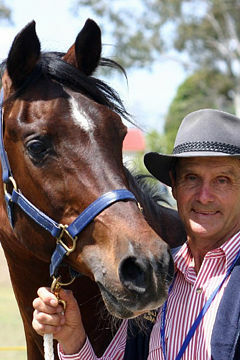 She was ridden by her owner, the very experienced endurance competitor Vincent Dupont. 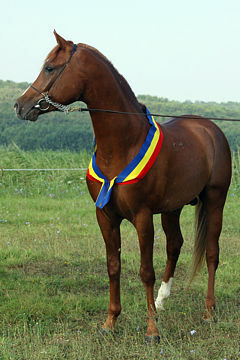 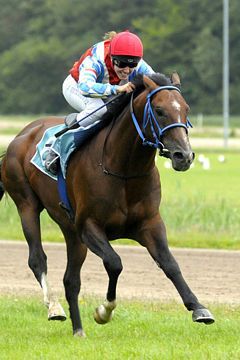 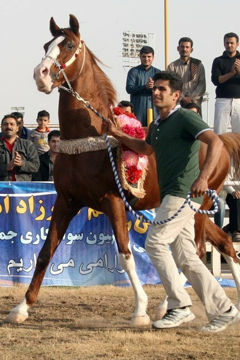 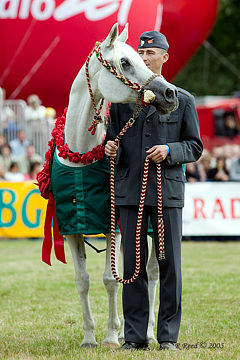 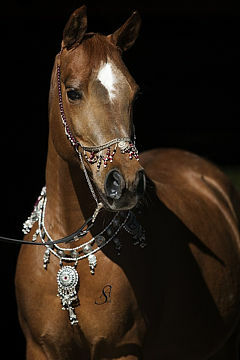 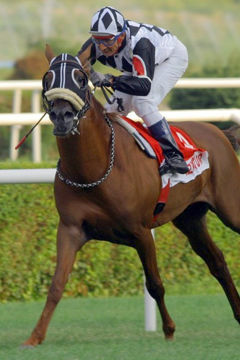 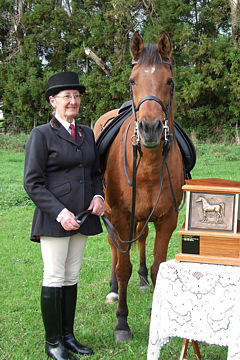 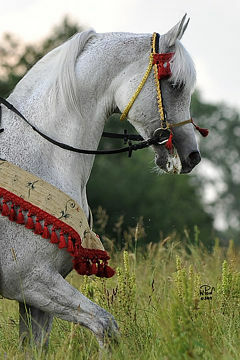 As a result of this win, Nita Lotoise also won the 2008 WAHO Compiègne Trophy for France, awarded to the highest placed purebred Arabian in this competition, for which WAHO is the umbrella patron organization. 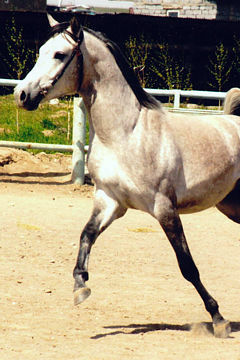 Her pedigree could be described as the ‘Classic French’ blend of French, Polish, German (Egyptian/Marbach), Moroccan and Tunisian lines. 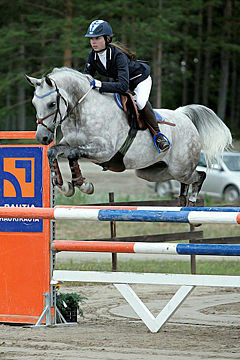 Vincent Dupont and Nita Lotoise. 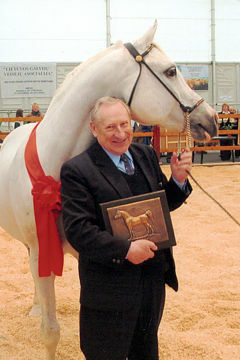 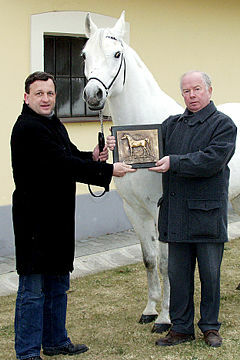 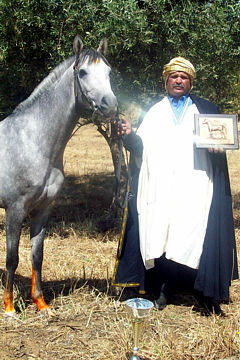 At the same event, Dr. Nagel awarded the next two highest placed purebred Arabians with a specially created WAHO memento in honour of their success. 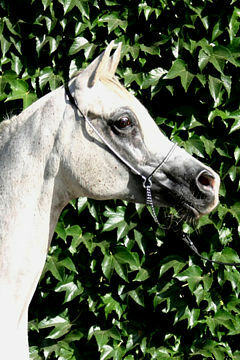 These were the grey gelding Mediatik Larzac (Branik / Ilam Bint Attilha) bred by Christelle Derosch, owned by Guillaume Vandekerckhove, and ridden by Sandrine Lance who took first place in the World Young Horse Endurance Championships (for horses 8 years old); and the bay mare Jaya De Bozouls (Prim De Syrah / Aljaima De Bouzols), bred and owned by E.A.R.L. 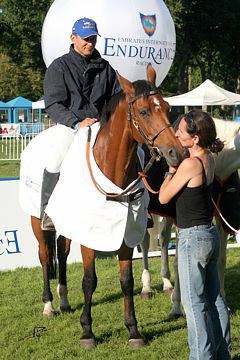 Mezagri and ridden by Olivier Bayenne, who took third place in the championship ride for 7 year olds. 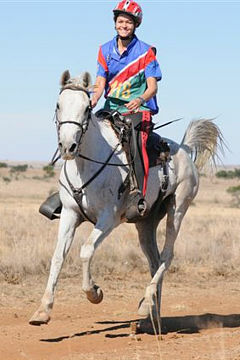 All the winners were born and bred in France and were still competing for their country with French riders, an excellent achievement at such an important and high profile international endurance event.